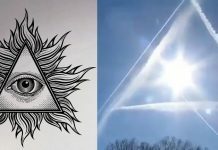 Home Conspiracy What is a chemtrail, Alexa? What is a chemtrail, Alexa? This woman from Nottingham, UK, asked Alexa about chemtrails… And she got a very interesting answer. You would think the chemtrail conspiracy is a big enough thing that Amazon would manually code a better response for Alexa… But no. Or does Bezos know what’s going on in our skies? EMMA TSUDA SAYS; In the year 2141, they now spray micro nano machines to get rid of or manage cyber brain hardening cybrosis syndrome. These days nearly 83.4 percent of people have a direct cyber quantum nano bio computer chips and hard drives installed inside the area of the brain stem. At the last moment we were able to use some tricks to find a place of refuge. 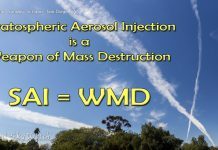 WE have herd of rumors way back in the day that there was a cosmic ray deflection and management program with spraying chemicals from aircraft of military and commercial origins. That is what nanna told us when we were little, the events of what happened 145 years ago.